It’s not quite spring here, but it’s getting close. Yesterday I saw some yellow flowers peeking up beside the sidewalk. This weekend; however, it snowed. The temperature has swung 30 degrees in three days. This month so far is staying true to the old saying, “March comes in like a lion, and out like a lamb.” We’ll see about the last part, in the meantime, I’ve been cooking up soup for such temperamental weather. 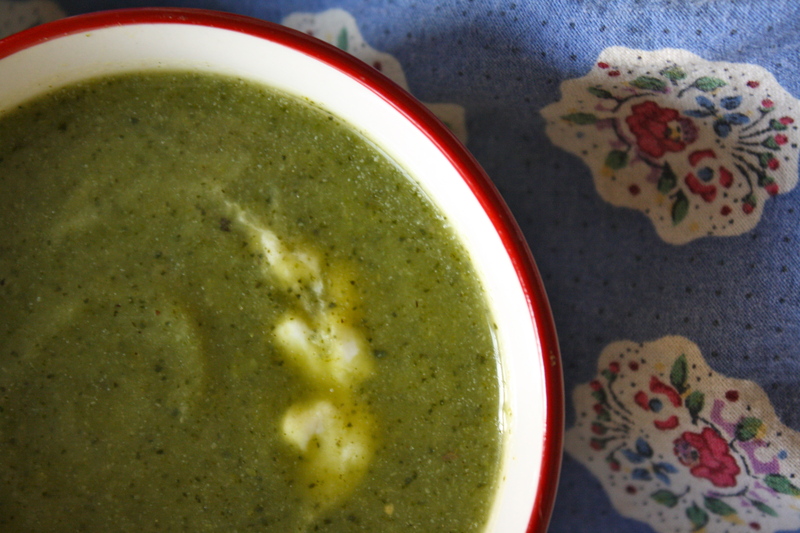 This cauliflower kale soup is green to remind you that spring is right around the corner. To help remember that soon the familiar tents of the farmers markets will being to sprout up, at which point you will have all the veggies you can get your hands on. It is hearty enough for when the temperature dips below freezing, yet light enough to eat well into April. Best of all, it’s a simple enough to whip up in less than 30 minutes; so when warm weather does come calling, you can enjoy every minute of it. Heat oil in a large pot over medium heat; cook onion, 4 to 5 minutes, until soft. Add garlic and a pinch of salt, and cook for about 30 seconds, until garlic is fragrant. 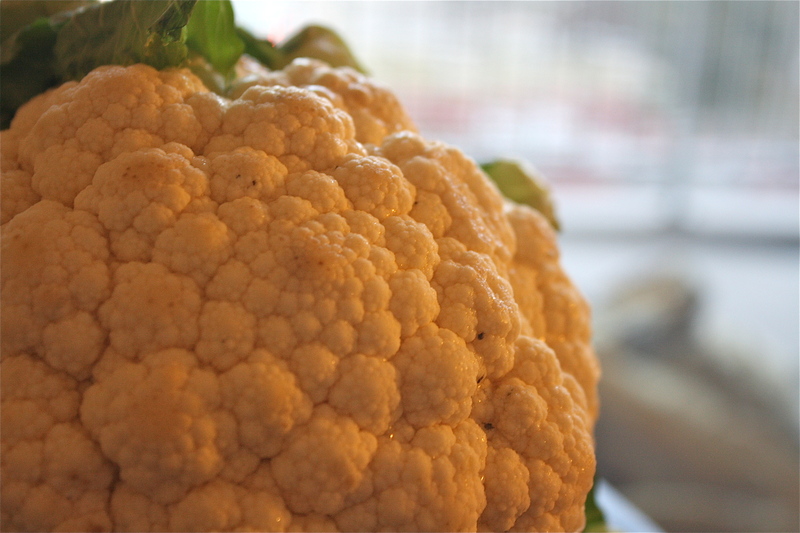 Add cauliflower, and pour in filtered water until it reaches just below the top of the cauliflower. Bring to a boil over high heat. Add 1/4 cup of parsley. Reduce heat to low, and simmer until cauliflower is just tender, about 10 minutes. Stir in greens, and simmer for 3 minutes. Add lemon juice. Puree soup in batches in a blender, or with an immersion blender in the pot, until very smooth, adding more water (about 1/2 cup) if it’s too thick. Caution, soup will be very hot. Season with salt and pepper. Garnish with additional parsley and black pepper. I enjoyed toping it with some greek yogurt as well, or you could drizzle the top with extra-virgin olive oil, but it is also delicious plain. 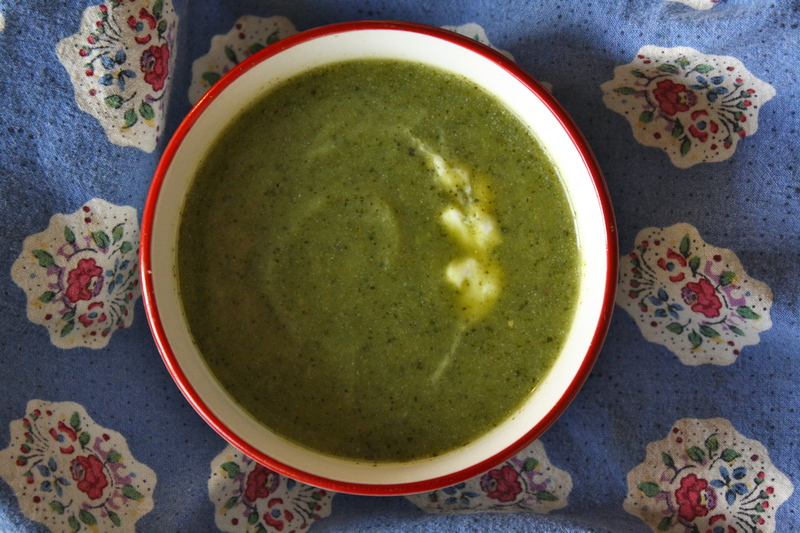 Inspired by this recipe for Creamy Cauliflower Soup with Greens. This looks amazing. I’m gonna try it tonight! Thanks for the yummy looking recipe. Hope that you do, good night for soup in Pittsburgh!